Venice, Italy, is always, well—Venetian: fascinating, mysterious, noble, and exquisite even when fog shrouds the city. Here on Giudecca, one of the eight interconnected islands in the Venetian lagoon, the luxury hotel Molino Stucky rises gracefully from the sea. The building, a 19th-century granary and flour mill now splendidly restored, is near the famous Piazza San Marco and the city’s major attractions. It’s also now a major convention center, and recently played host to Italy’s Gusto in Scena—Good Taste on the Scene. The event, the brainchild of journalist Marcello Coronini, is the first show in Europe to combine three events in one: Chef in Concerto (Chefs in Concert), a gastronomic congress for top chefs; I Magnifici Vini (Magnificent Wines), an international wine tasting; and Seduzioni di Gola (Seductions of the Palate), an exhibition devoted to Italian delicacies. Chef in Concerto offered attendees a virtual journey through European culinary production. Contests pitted chefs from Italy and Spain on Day One, then Italy and Austria on Day Two. In a great hall fitted with regal Murano glass chandeliers and plush carpets, we followed each chef on a gigantic screen, mesmerized by the intricate preparations. Two chefs in particular caught my attention. Renzo Dal Farra, owner of Michelin-starred Locanda San Lorenzo, prepared his famous Alpago lamb, a rare breed of small to medium sized sheep with small ears and no horns, raised in the mountainous Alpago Valley in Veneto. Dal Farra offers this lamb dish in his restaurant in Puos d’Alpago, located just a few hours from Venice. Alessandro Gilmozzi, chef-owner of the Michelin-starred El Molin Restaurant in Cavalese, Val di Fiemme, turned out to be a lichen specialist, gathering and cooking this peculiar specialty to capture the flavors of Italy’s most famous woods and mountains, the Dolomites. Gilmozzi also uses color in his dishes to suggest the forest: deep green for herbs, brown for the woods and mushrooms, and soft pink for the mountains at sunset. But for a wine lover, I Magnifici Vini was by far the most compelling event of the expo, with wine tastings from over a hundred Italian, French, and Austrian wineries, chosen for their high quality and place of origin. Casa Vinicola Firriato, Etna Rosso DOC 2007 “Cavanera.” This wine is a blend of the indigenous grapes nerello mescalese, etna rosso, and nerello capuccio, grown in black soils at about 600m elevation, and under extreme conditions. Dark ruby in color, with a very dark bouquet of black spices and fruit, this wine offers a peculiar volcanic flavor and a long, persistent finish. Arunda Vivaldi, “Arunda Cuvée Rosé.” This sparkling rosé is made exclusively with pinot noir from a vineyard located 700m above the village of Montagna. A wonderful and luminous cherry color leaps from the glass, and the wine offers a lovely perlage. The nose is enchanting with aromas of blueberries and raspberries, while the rich flavors coat my mouth with a fresh yet elegant creaminess. Tenuta Roveglia, Lugana DOC “Vigne di Catullo 2008.” The turbiana grape produces one of the most elegant and long-lived Italian white wines, Lugana. Turbiana thrives in the white clay plains, giving us a wine with a bright golden color, aromas of tropical fruit and white flowers, and a never-ending finish that’s elegant in its perfectly balanced acidity. Note: Try this wine now, because in the near future it may no longer exist: a new high speed train will be built to pass through the Roveglia Estate, which will likely wipe out this heritage grape. Tenuta Cerulli Spinozzi: Pecorino IGT bianco “Cortalto 2008.” Pecorino is a grape from Italian regions Marche, Abruzzo, Lazio, and Puglia. 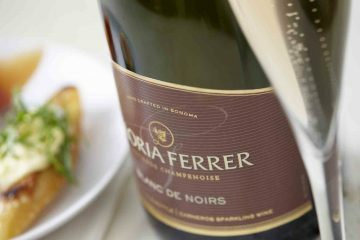 This particular pecorino is light in color, with rich aromas of pineapple, peach, and melon, and these also show on the palate, followed by a long and creamy finish. 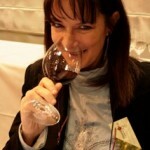 Elisabetta Tosi is a freelance wine journalist and wine blogger. She lives in Valpolicella, where the famous red wines Amarone, Ripasso, and Recioto are produced. Professionally, she serves as a web-consultant for wineries, and in her free time writes books about Italian wines. She is also a contributor to Vino Pigro.